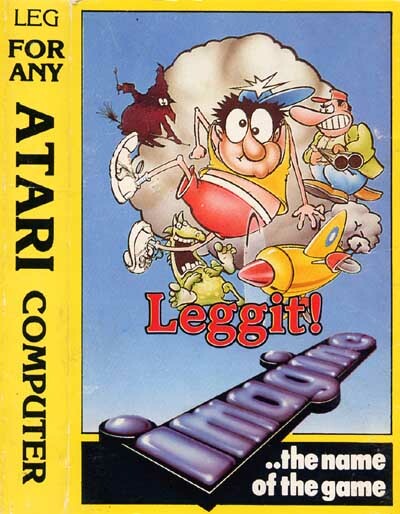 Just spent the last hour trying to think of this game - and came across 'Leaper' - only to find 'Leggit!' is so similar. Seems to be the same game.??? ?Both maddening!!!! 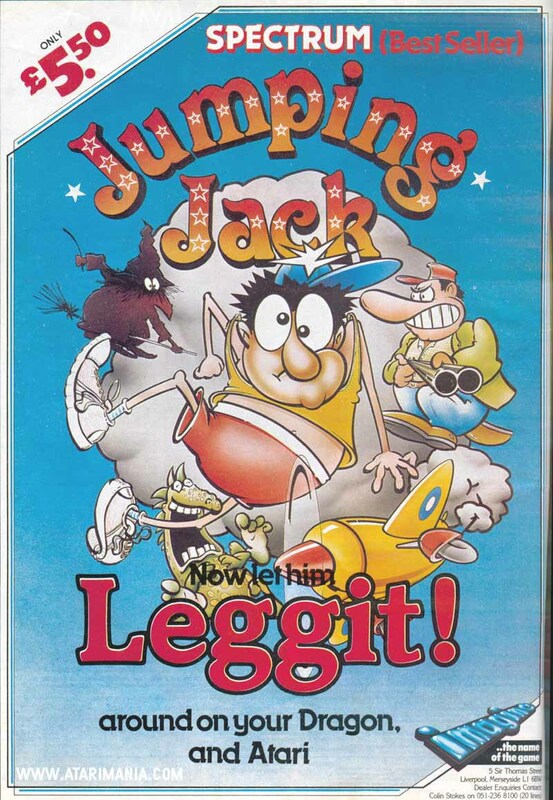 I think it was originally released on the ZX Spectrum as Jumping Jack. For some reason, I found that version awful. This one, though is very addictive. The graphics very simplistic, but they suit this game perfectly. Fun game, especially playing in 2 player simultaneous mode. Occasionally the player missile graphics go a bit crazy! or just look for "commericlal breaks imagine"
This crazy quest for points and freedom will have you leaping up and down with excitement and frustration. Play on your own or compete with a friend. There you are, stuck at the bottom of the screen and the only way to reach the top and gain your freedom is to leap through the ever moving gaps that appear above you, but beware, one false move and you could fall through a gap and knock yourself out. The going gets tougher and tougher and if that's not enough, a multitude of nasties begin to appear to attack and hinder you. What with ever moving gaps and an ever increasing number of enemies out to get you, life begins to get very, very tough. But there's no need to be lonely, by using two players you can compete against each other in your race for freedom and points. Leaping Lenny will appear at the bottom of the screen with eight layers above him. Initially these layers contain two moving gaps, as the game progresses the number of gaps increases. The object of the game is to leap Lenny through the gaps using your joystick and fire button. Should he run off the edge of the screen, he will wrap around to the other edge. Should he fall down a layer, he will bang his head and remain unconscious for a period of time during which he cannot move. Every time he drives at the bottom of the screen unconscious, he loses a life. After each successful leap, a new gap appears. The first three new gaps descend, the next three ascend - up to a maximum of eight gaps. When Lenny makes a successful leap at the top layer, the "next level" sequence is entered. Hazards will begin to appear after the first level: one initially, up to a maximum of ten. If Lenny collides with a hazard, he will be knocked unconscious. Using the two player option, if the two Leaping Lenny's collide during their race to the top, they will both be knocked unconscious. Good luck! Press PLAY on tape recorder. Switch off Atari. Press and hold Atari START button. Switch on Atari, Atari will beep once. Press RETURN key. Cassette recorder will start and program will load and run. Joystick left and right to move, fire button to leap. Press SPACE BAR to pause game.